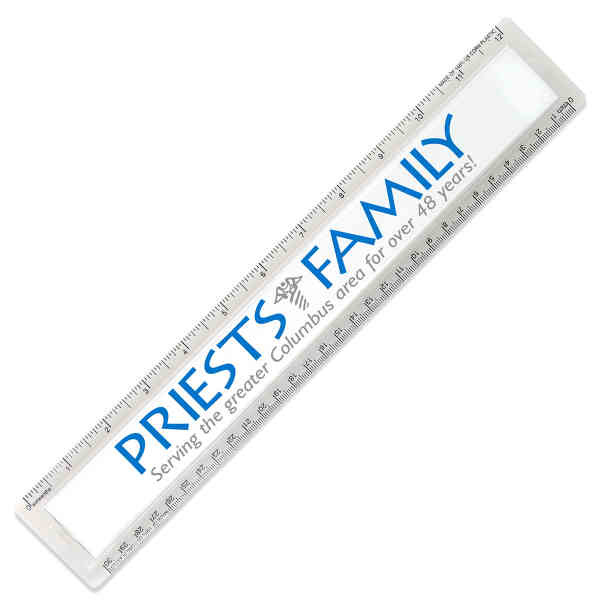 NatureAd™ corn plastic Quickview 12" ruler. Made of 100% USA corn plastic identified on each ruler. Insert printed on white paper under protective lens. Made in the USA. NatureAd™ all natural plastic helps relieve U.S. dependence on foreign energy, but also is based on a renewable U.S. agricultural product, Corn plastic! Product dimensions: 2 1/16"H x 12 1/2"W. Compostable. Size: 2 1/6 " x 12 1/2 "
Imprint Size:1" x 11 1/4"